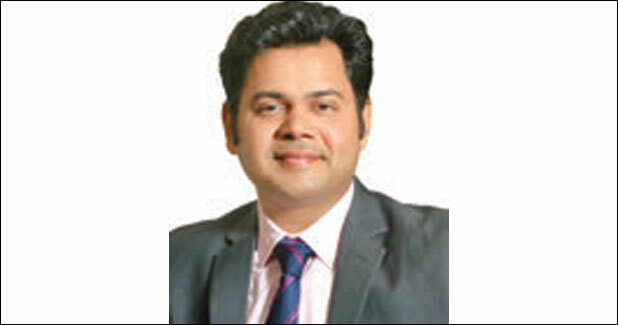 Devesh Bansal, Director, Skipper Limited. What categories of monopoles do you make for the sector? Monopoles are used for a series of applications and are ideal for use when sufficient availability of land is restricted. They are the least intrusive and easiest towers to erect, making them one of the most popular tower types in the industry. Skipper Limited is a pioneer in the industry and has global expertise in addressing the monopole and structural accessory needs of the power T&D industry. Leveraging a solid foundation of in-house, engineering excellence, we can design and manufacture structures which address to tough technical challenges in most environments. We manufacture power trans¡mission monopoles from 33 kV to 400 kV both single and double circuit lines and power distribution monopoles up to 33 kV. Are you associated with JV(s)? Designing being a crucial aspect of our solutions, we have associated with world renowned designing company Rambol (Denmark) for designing the best monopoles, which very few companies can provide. Monopoles are a recent addition to India's T&D infra, how has the market progressed? The latest advancement in world of T&D sector has been monopoles. It's been more than 50 years since european and some Gulf countries have been using these steel structures in the T&D and telecom sectors. Monopoles were first introduced in India around 2008û09 by PowerGrid. Due to varied application and advantages and GoI's thrust on augmenting transmission capacity, monopoles have sought attention of all the leading grid and distribution companies. However the market for monopoles has not got much traction due to lack of awareness and expertise of Indian utilities. Being a relatively new product for the Indian market, the market size is still developing. It would be difficult to place any number to it at the moment. What benefits do monopoles have compared to angular, riveted towers? Alternatively, what disadvantages do they pose? Riveted/angular towers have a much larger base ground coverage as compared to monopoles. Among the most challenging issues India's transmission sector is facing today, are Right of Way (RoW), land acquisition, and regulatory and environmental clearances for transmission lines. For many years transmission lines were constructed without major RoW issues, however with increased farmer and land owner awareness, reserved forest, bird sanctuaries, religious structures, etc., it has become increasingly difficult to get smooth and timely RoW clearances. Monopoles, considering the lesser area requirement and several other advantages, are considered as replacement to the angular towers. -Easy installation - As the number of fittings for monopoles is comparatively lower the chances of failure are less. -Designing - Due to its flexibility, built in poles are subjected to lesser wind load as compared to tower structures due to their smaller aerodynamic coefficient. -Shorter project delivery - Due to fewer number of fittings, the installation is three-four times faster. -Aesthetically pleasing - Occupying lesser space makes monopoles look aesthetically smarter. -Protection against vandalism - Since poles being more continuum types, it offers more resistance to vandalism. - Difficulty in transportation - as they requires heavy cranes for displacement. -Limits transmission of high voltage current - there are manufacturing limitations for voltage higher than 400 kV. How does carrying capacity for monopoles differ? Can they be adapted to AC and DC lines? The load carrying capacity of a lattice tower is up to 765 kV and higher, whereas for monopoles it is only up to 400 kV, with no major difference in the frequency levels. Yes, they can be adapted to both AC/DC lines. What challenges do you face in India? How can these be combated? The primary challenge in our country is the lack of awareness about monopoles, among the utilities. Currently, many prestigious utilities like UPPTCL, MPPTCL, KPTCL, MSETCL, and HVPNL are considering implementation of monopoles for lines with RoW issues. In fact, PGCIL too has come out with tenders for monopole installations. What market exists for monopoles in T&D? Will they replace existing infra in years to come? Nowadays most transmission utilities are facing problems in laying transmission lines in urban areas due to severe RoW problems. This is in view of non-availability of adequate land for installation of conventional lattice type towers. To overcome these practical difficulties, monopoles are the latest alternative to overhead transmission lines, lattice type self-supporting towers, seeking only 1/16th the space sought by lattice towers for erection. Hence all locations wherever there are RoW issues, monopoles come out as tentative solution. Considering the current scenario monopoles will not completely take over the angular tower's market share any time soon. Are there any global standards evolved for monopoles? For monopoles we are currently using ASCE 48-05/48û11. The software that is used for designing poles is PLS Pole Software. However, unlike US and Europe, in India the BIS is yet to come up with global standards for manufacturing of monopoles. What is your market perspective for the segment over the next five years? Till a decade further from now we expect both angular towers and monopoles to co-exist in mainstream power T&D. However, considering the potential of the product we do expect substantial growth in the number of projects in the coming few years.